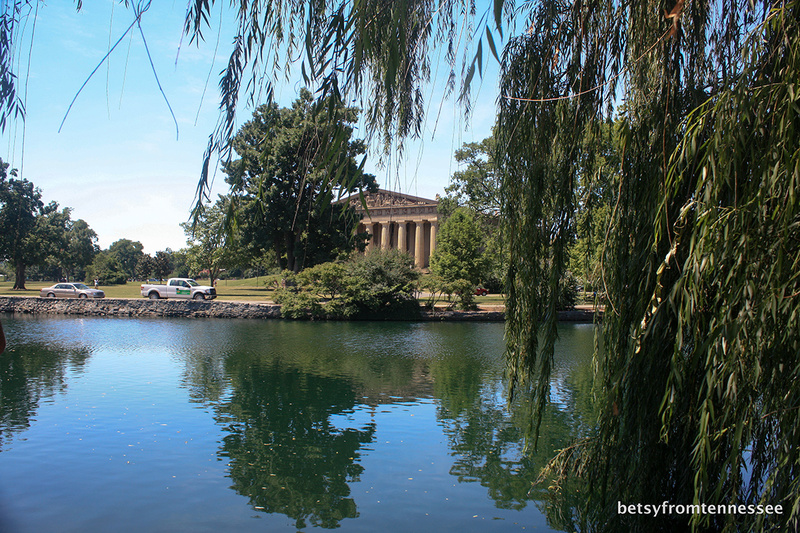 Centennial Park in Nashville, Tennessee. Picture from Google Earth. Lake Wautauga, Centennial Park, Nashville, Tennessee. June 23, 2012. I’ve mentioned a couple of times that Betsy and I celebrated our anniversary back in June by going to Nashville to visit some of our old haunts. 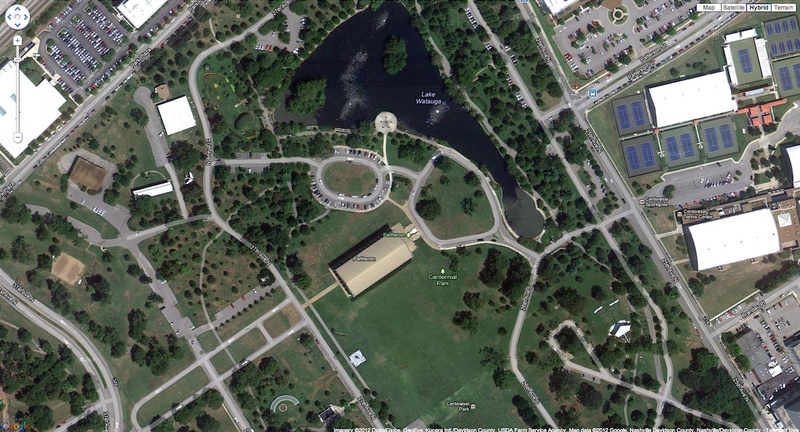 One of the places we visited was Centennial Park. We had often walked around the lake in the park while we were dating and after we were first married, but it wasn’t until this year that I learned that the lake had a name — Lake Wautauga. 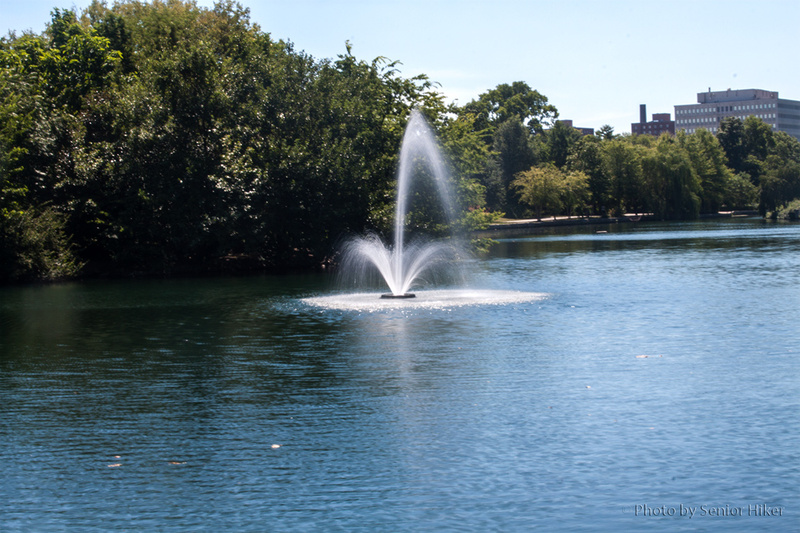 The fountain in Lake Watauga, Centennial Park, Nashville, Tennessee. June 23, 2012. 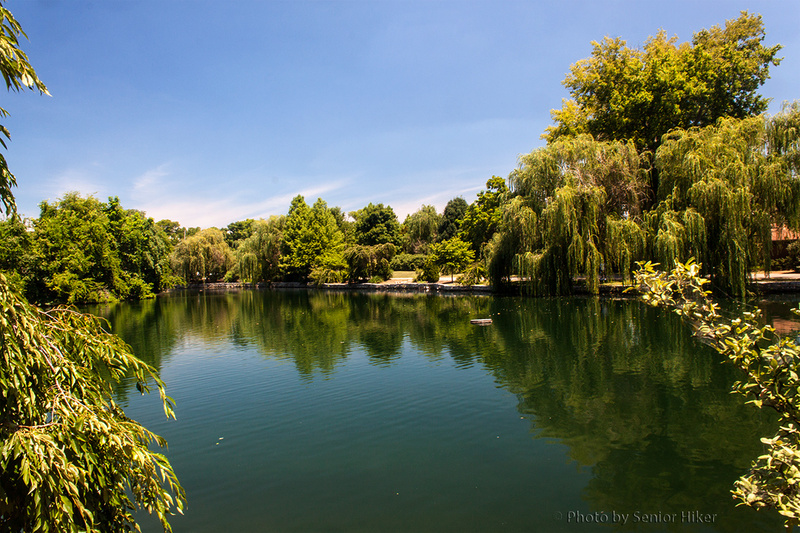 The path around the lake leads past a fountain and under some beautiful shade and willow trees. 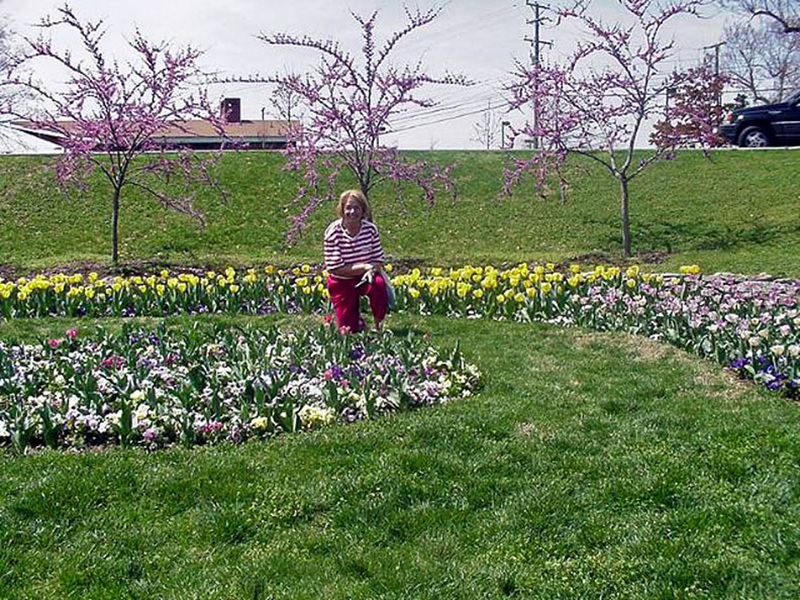 Betsy getting a picture at Centennial Park, Nashville, Tennessee. June 23, 2012. 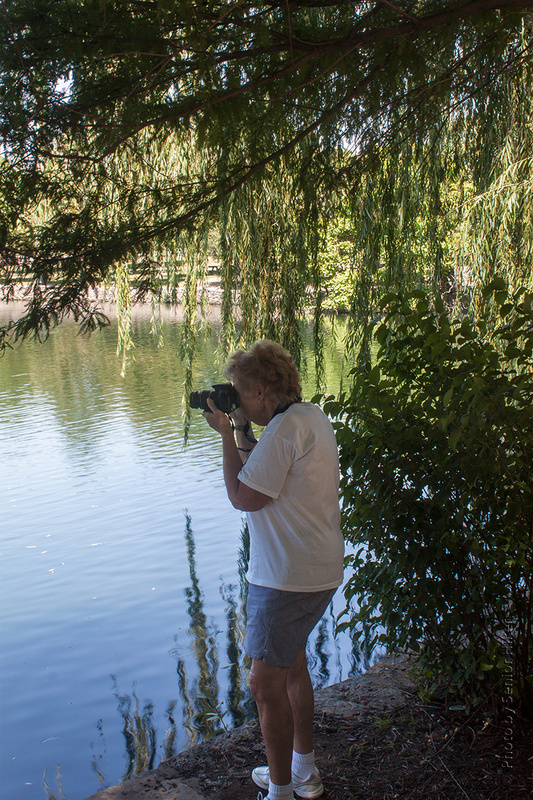 I managed to catch Betsy hard at work with her camera under one of the willow trees. 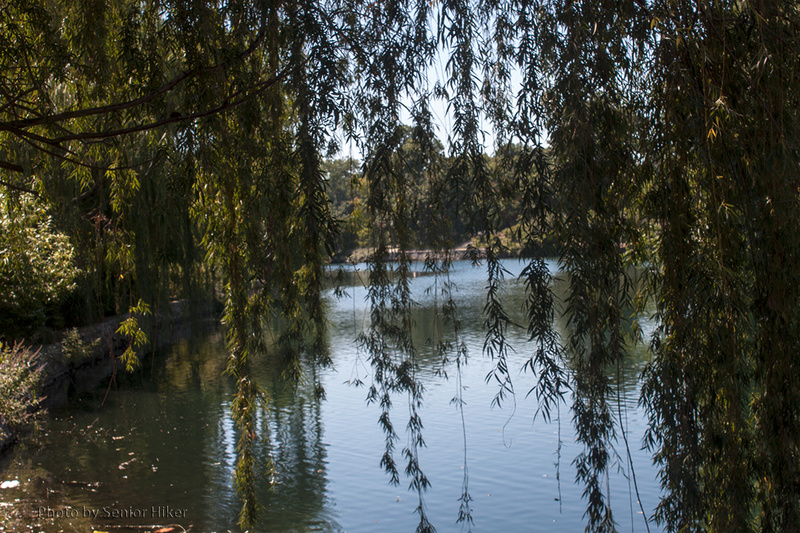 A view of Lake Wautauga through the branches of a willow tree, Centennial Park, Nashville, Tennessee. June 23, 2012. She inspired me to try my luck at getting a picture through the willow branches. 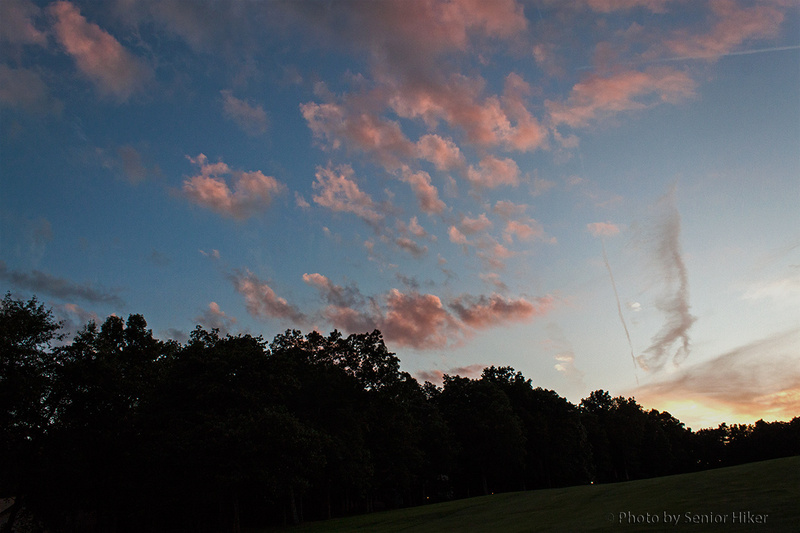 Evening sky over Fairfield Glade, Tennessee. July 25, 2012. Betsy was on the back deck Wednesday evening and said that I should come out to see the sky from the fairway out back. I went out back with my camera and found that Betsy was right — the sky was beautiful. Evening western sky over Fairfield Glade, Tennessee. July 25, 2012. The sun had dropped below the Plateau, but the sky was still blue. 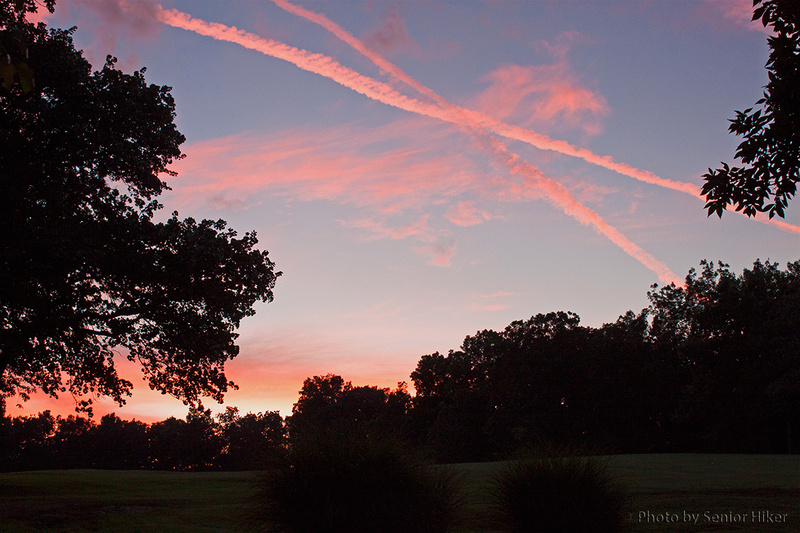 The clouds and contrails to the west were a beautiful pink. The sky wasn’t exactly red, but I was reminded of the saying, “Red sky at night, sailor’s delight”. 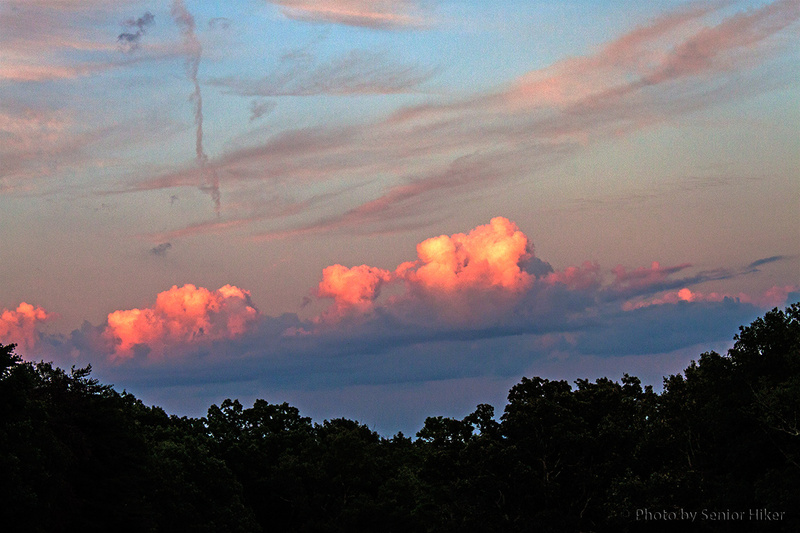 Eastern evening sky over Fairfield Glade, Tennessee. July 25, 2012. When I turned around and looked to the east, the clouds were a beautiful orange-gold. It truly was a gorgeous evening. Peppermint Splash rose, Fairfield Glade, Tennessee. May 23, 2012. 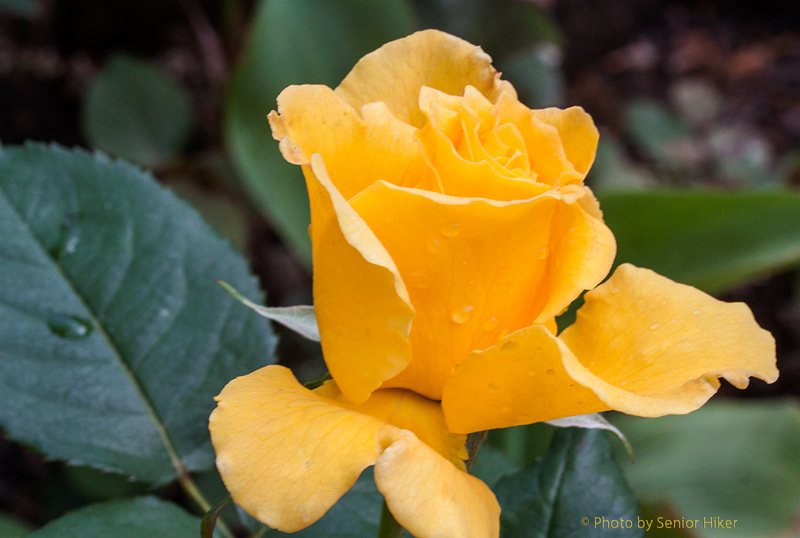 This is the ninth post on the roses in our yard. The previous posts can be found by clicking on the tag ‘Roses’ below. 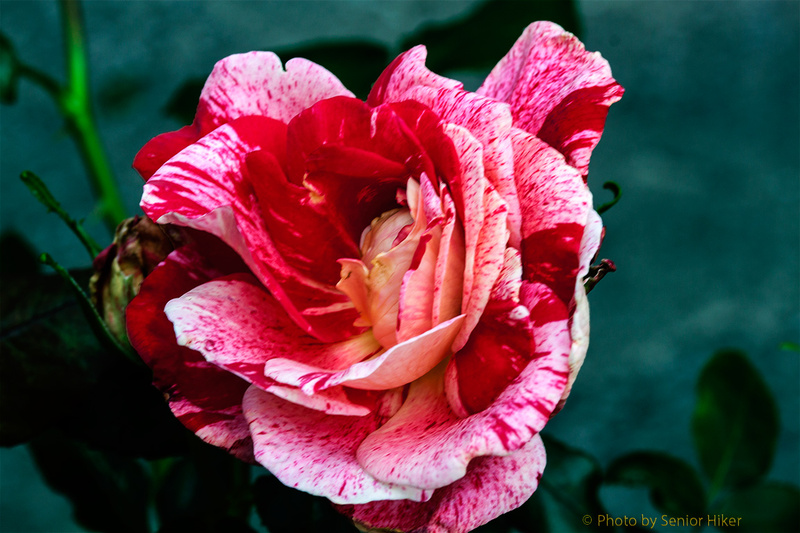 Peppermint Splash is one of Betsy’s favorite roses. It definitely has one of our more unusual blossoms. Betsy says it reminds her of peppermint stick candy, which probably accounts for its name. Perfect Moment rose, Fairfield Glade, Tennessee. May 3, 2012. 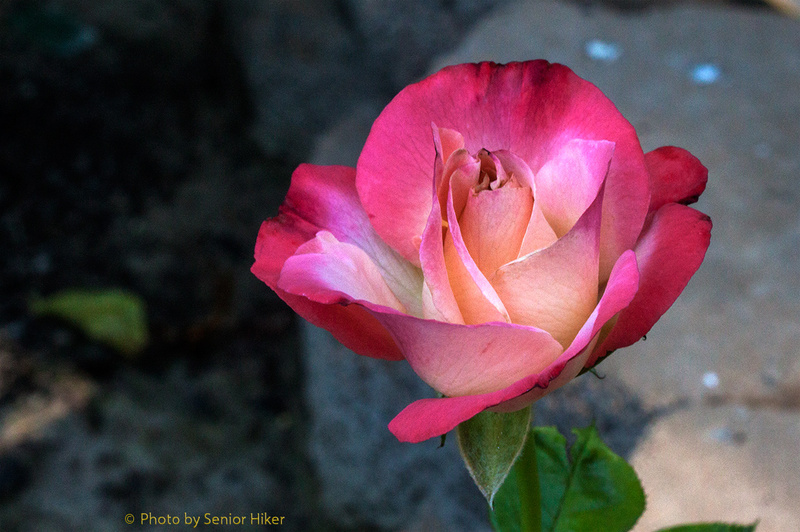 There probably isn’t such a thing as a perfect rose, but it’s hard to beat the colors of Perfect Moment. 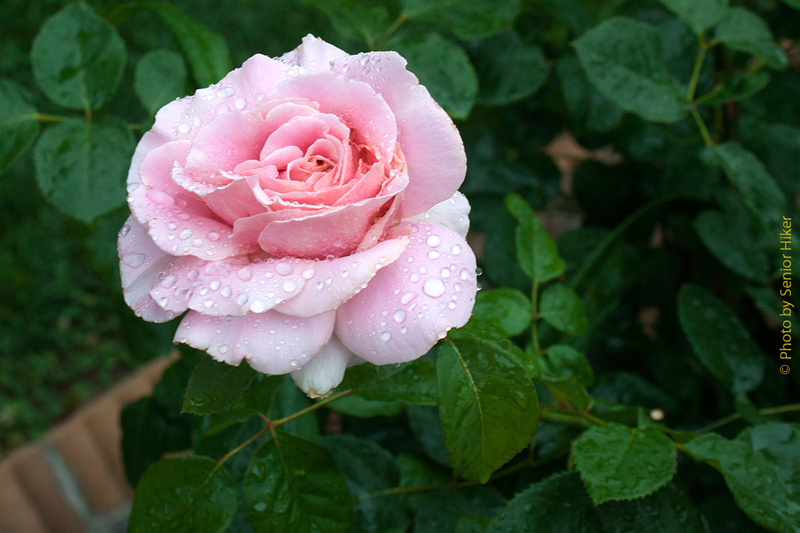 Pink Promise rose, Fairfield Glade, Tennessee. April 30, 2012. Pink Promise does a good job of living up to its name. It produces many of these beautiful pink blossoms throughout the season. Radiant Perfume rose, Fairfield Glade, Tennessee. April 30, 2012. Radiant Perfume has both a delightful fragrance and a brilliant color. 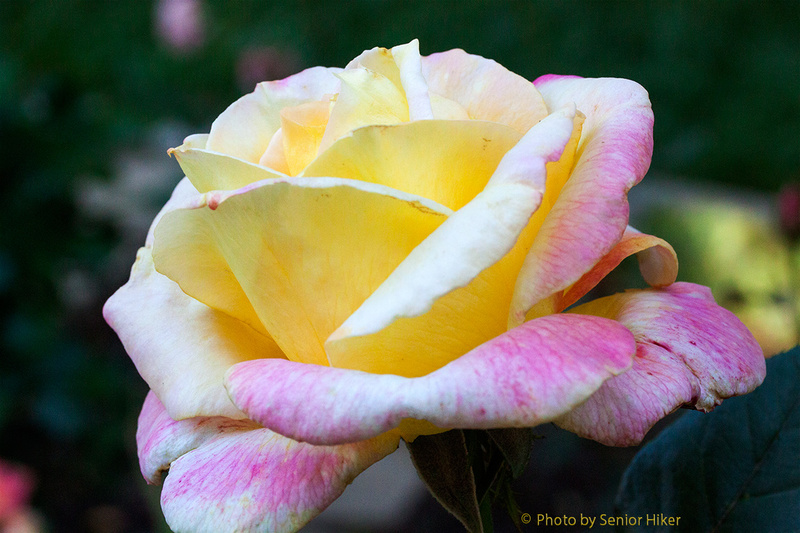 It’s a bright spot in our garden each time it blooms. Sheer Magic rose, Fairfield Glade, Tennessee. May 28, 2012. 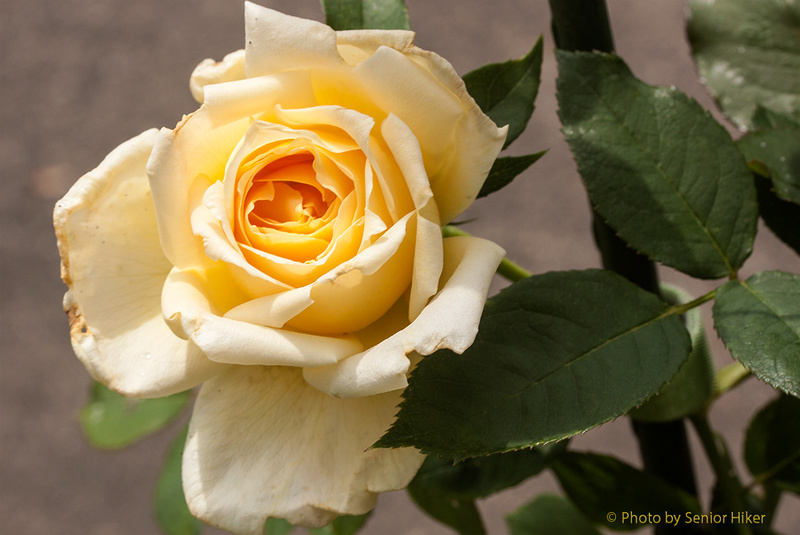 Sheer Magic is a beautiful bicolor with a very pleasant fragrance. We enjoy the soft pastel colors as much as we do the fragrance. 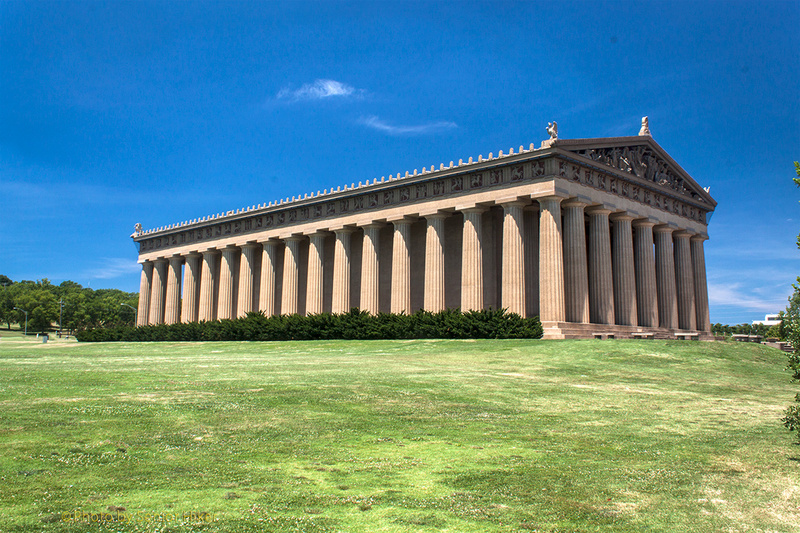 The centerpiece of Nashville’s Centennial Park is an exact replica of the Parthenon of ancient Greece. The northeast corner of the Parthenon in Centennial Park. In 1895 Tennessee wanted to find a way to celebrate the centennial of its statehood (which would occur in 1896), and they decided on a centennial exposition to be held in Nashville. 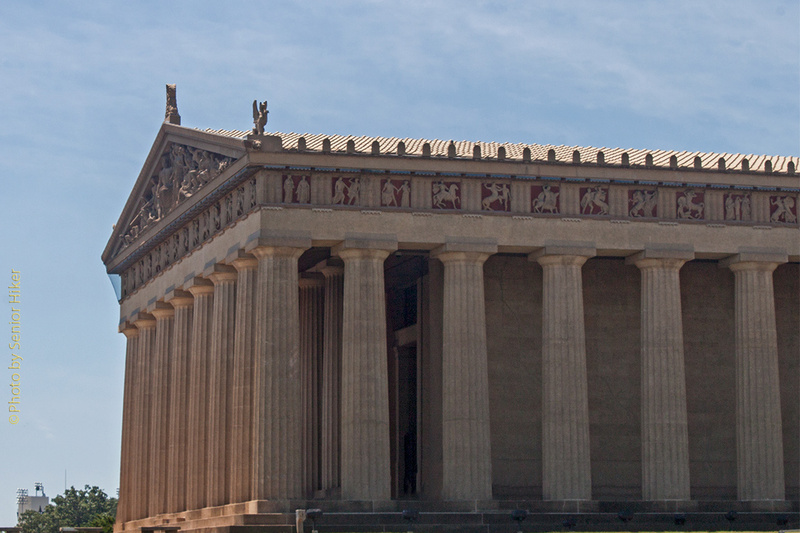 At that time Nashville was known as the Athens of the South, so an exact replica of the Parthenon in Athens would be the pinnacle of the Grand Exposition. The Parthenon was the first building put up for the exposition and it set the theme for the 36 other buildings that were constructed. Since only a year was allowed for putting the Exposition together, all of the buildings were constructed using materials that would survive only through the Exposition. Moving toward the eastern side of the Parthenon. Because of bureaucratic red tape, the Grand Centennial Exposition didn’t open until 1897, one year after the statehood celebration. Even with the delayed opening the Centennial Celebration was a huge success, with over 1.8 million visitors over a 6-month period. Within two years of the close of the Centennial Exposition only three buildings remained, including the Parthenon. The east side of the Parthenon. Notice the intricate reliefs of the pediment above the columns. The ‘temporary’ Parthenon lasted for 23 years. 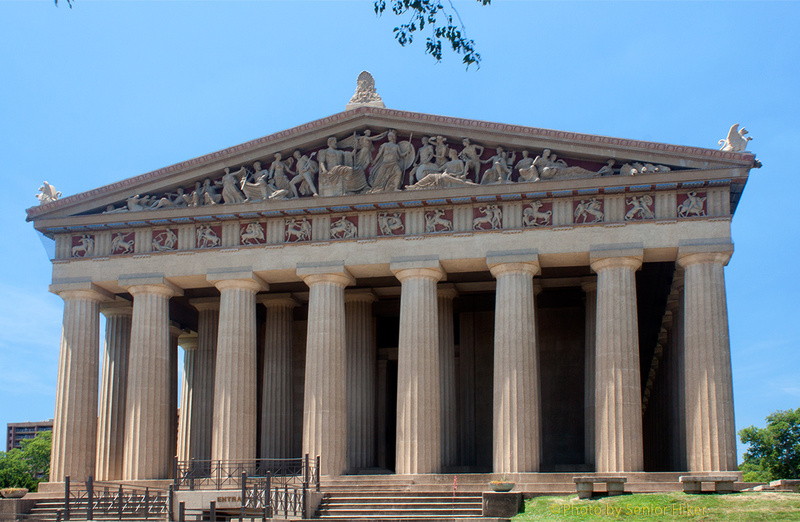 In 1920, because of the popularity of the Parthenon, the city of Nashville began an eleven-year project of replacing the temporary materials with permanent materials. This reconstructed building is the one that stands today. The Parthenon as seen from the southeast corner. 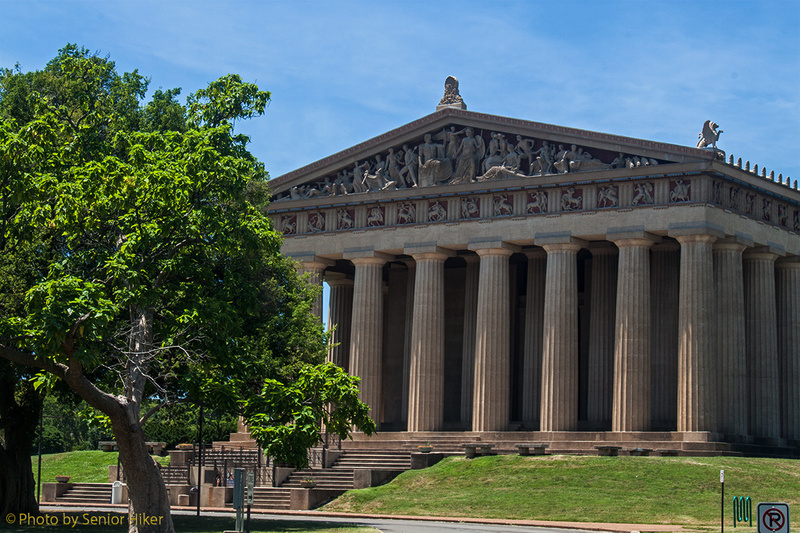 Nashville’s Parthenon in the only full-sized replica in the world. The 7-ton bronze doors are the largest in the world, and the statue of Athena is the largest indoor statue in the western hemisphere. The pediment reliefs on the east and west sides of the Parthenon were created by direct casts of the originals, which are now in the British Museum of Art. 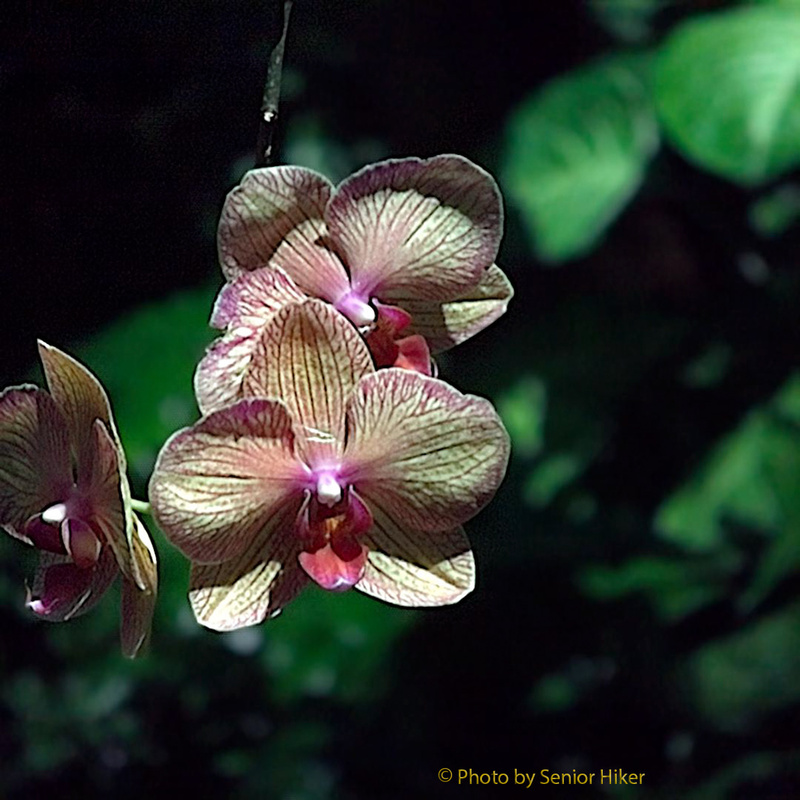 Orchids in the Conservatory of the Opryland Hotel, Nashville, Tennessee. June 24, 2012. Which of these two images do you like best? The one above or the one below? The interesting thing — to me — is that both images are from the same photograph. Here are two more images, again taken from the same photo. How is this possible? The secret is a camera that allows me to focus after the picture is taken. 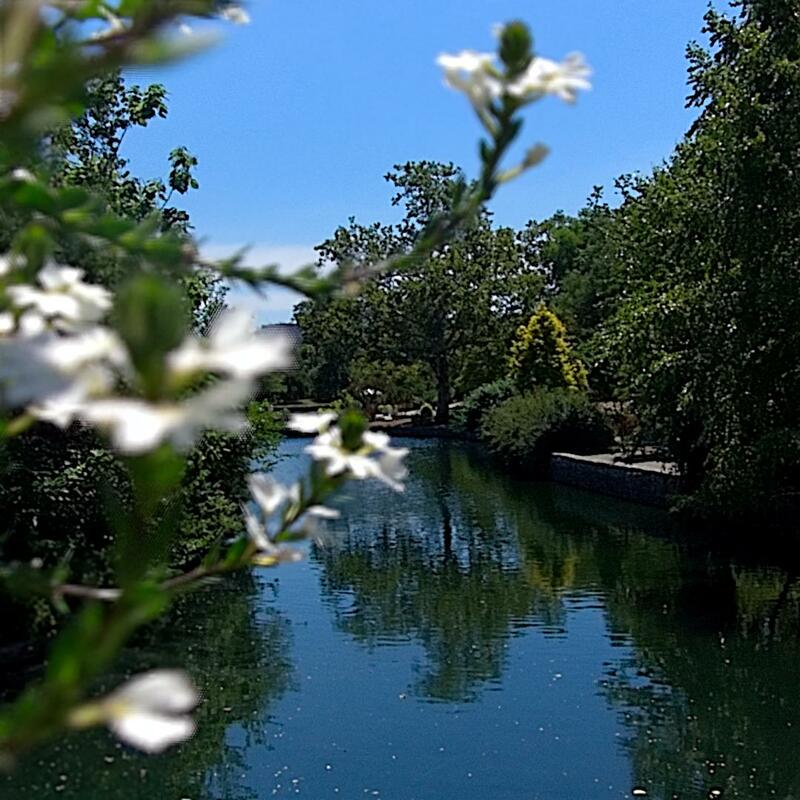 Lake Watauga, Centennial Park, Nashville, Tennessee. June 23, 2012. 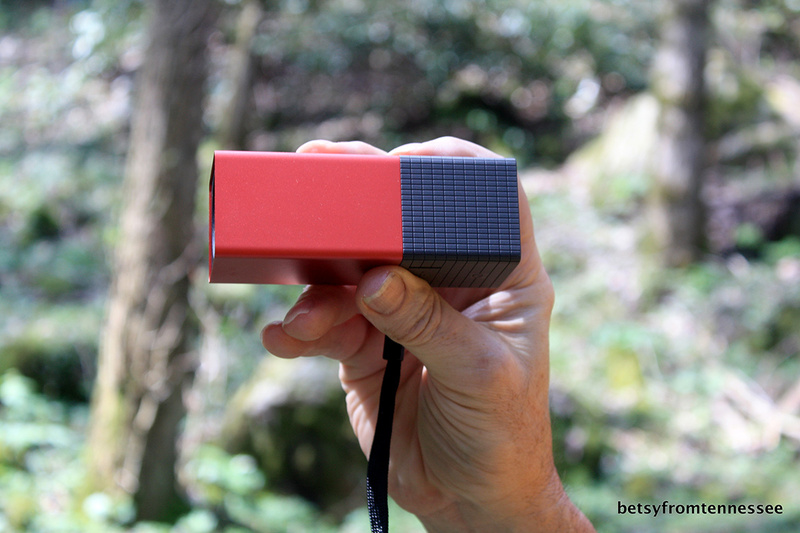 The camera is a Lytro Light Field camera, which takes what are called living pictures. Clicking on a living picture changes the point of focus. The camera is different from any other camera I’ve had. It has no auto-focus, no flash, no dials and no shutter lag. It has taken me a while to learn how to use the camera, but it has been a fascinating experience. If you would like to experiment with some living pictures (remember you change the focus by clicking on the picture), you can do so by clicking HERE. Bella’roma Rose, Fairfield Glade, Tennessee. June 2, 2012. 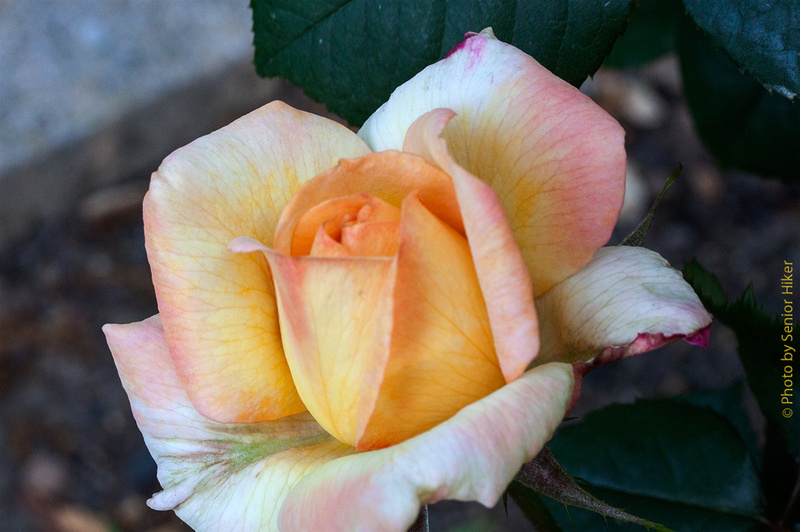 This is the eighth post on the roses in our yard. The previous posts can be found by clicking on the tag ‘Roses’ below. 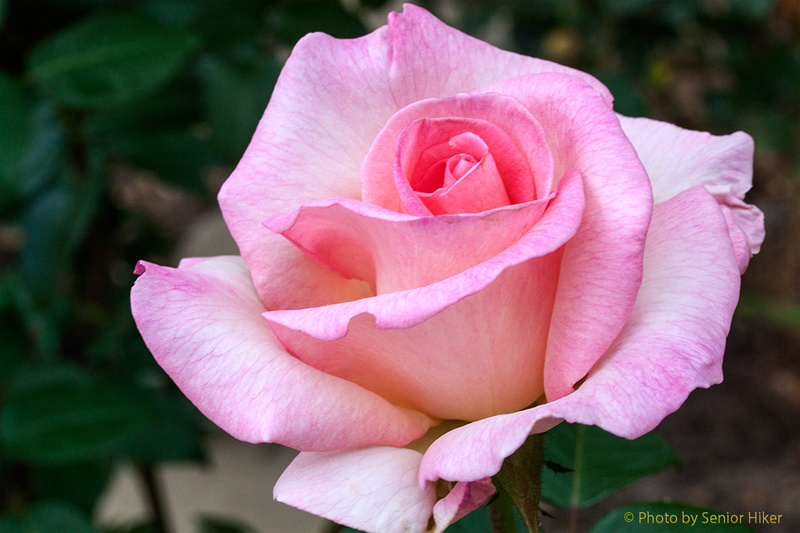 Bella’roma has soft pastel colors and a delightful fragrance, which accounts for her name. Fragrant Cloud, Fairfield Glade, Tennessee. May 28, 2012. Fragrant Cloud, as you can imagine, has a very good fragrance. This rose is in our small rosebud along the driveway. Melody Parfumeé, Fairfield Glade, Tennessee. May 2, 2012. Another fragrant rose in our garden is Melody Parfumeé. The fragrance is wonderful, but we like it just as much for its unusual color. Midas Touch, Fairfield Glade, Tennessee. April 27, 2012. Midas Touch isn’t quite as fragrant as the others in this post, but it does have a rich yellow color that draws attention anyway. Mister Lincoln, Fairfield Glade, Tennessee. April 27, 2012. 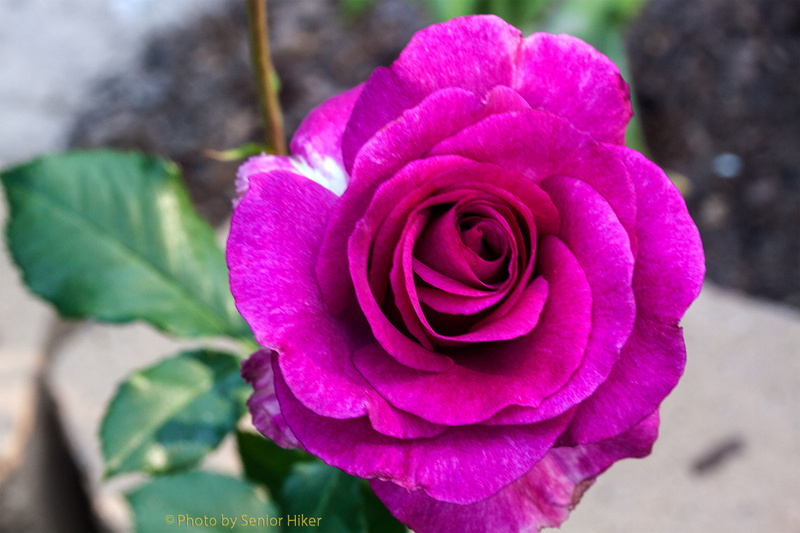 Mister Lincoln is another variety that I’ve had for many years, and this plant is one of the first we got when we started our rose garden here in the Glade. 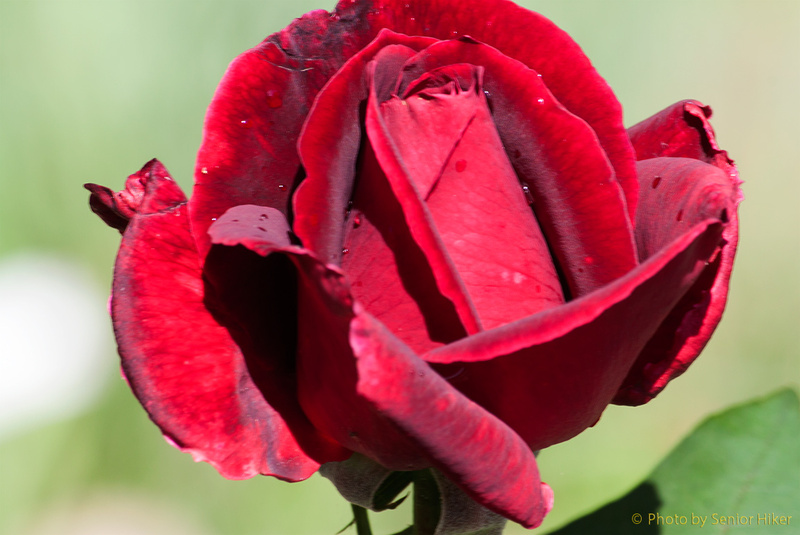 The blossoms of Mister Lincoln don’t last as long as some of the newer reds, but its wonderful fragrance and classic form allows it to remain a favorite in our garden. 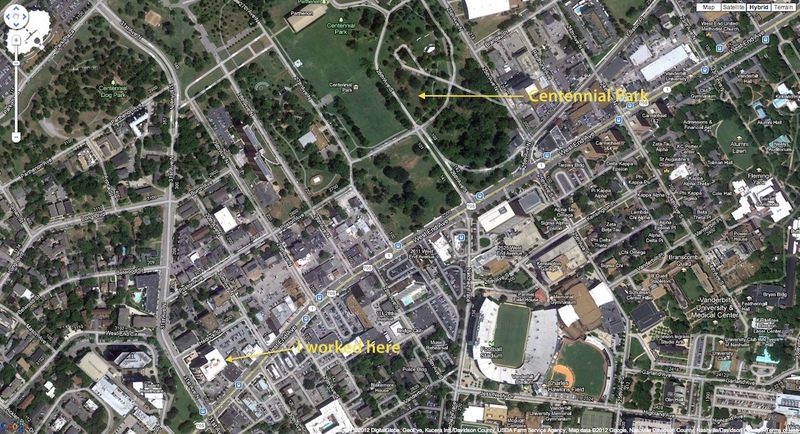 The West End of Nashville showing Centennial Park and the place where I worked for ClientLogic. On June 23 Betsy and I went to Nashville to celebrate our eleventh anniversary. The first place we visited was Centennial Park. When I met Betsy I was working a couple of blocks from the park and would walk there on my lunch hour (see the image above). When Betsy and I were dating, and even after we got married, we would often have lunch together in the park. Picture of Betsy taken in Centennial Park, Nashville, Tennessee. April 7, 2001. Our second date was on April 7, 2001, and we went Centennial Park. At that time the gardens were full of Spring blossoms. I took the picture above (it was the second picture I ever took of Betsy) amid the tulips. Betsy at Centennial Park, Nashville, Tennessee. June 23, 2012. 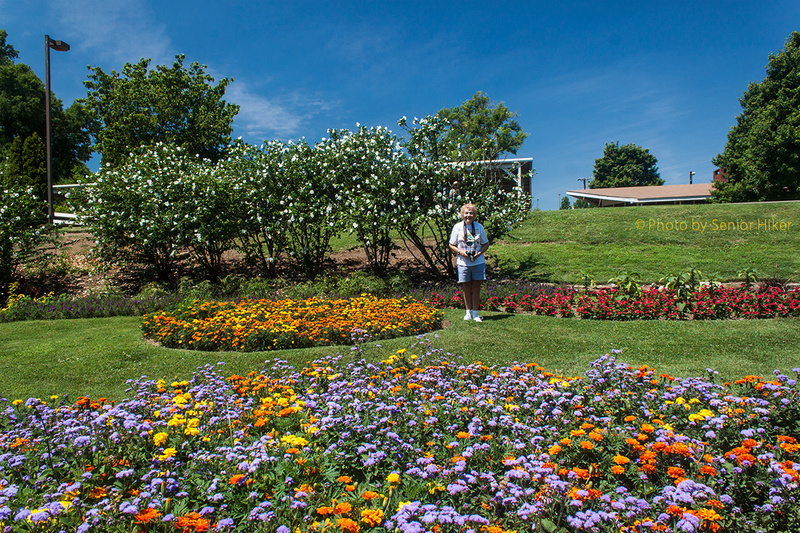 There were no tulips this time, but lots of marigolds and other summer blossoms. I got this picture fairly near where the previous picture was taken. Centennial Park, Nashville, Tennessee. June 23, 2012. 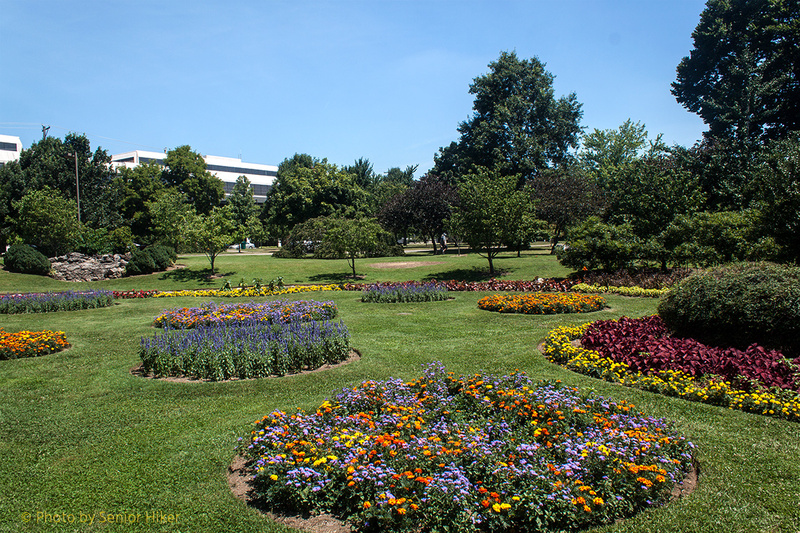 Although it was very warm on June 23, the gardens were still beautiful. I will admit, though, that the more we walked, the more we tried to stay in the shade. 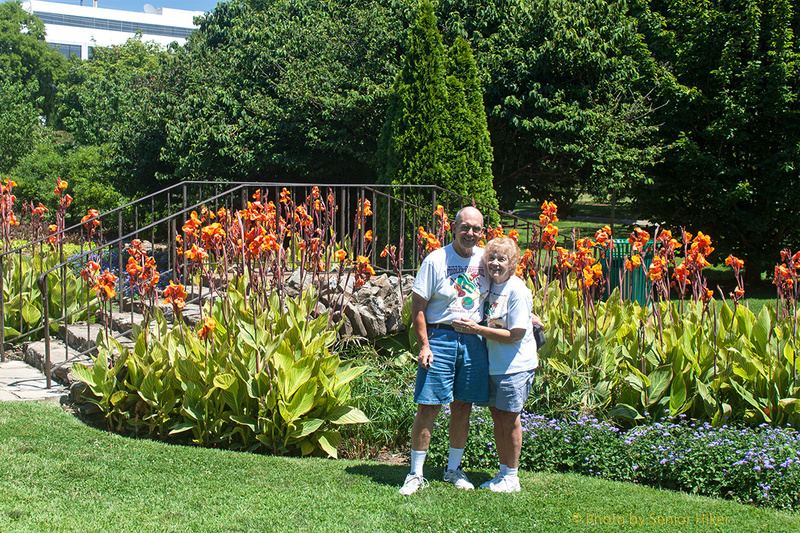 Betsy and George at Centennial Park, Nashville, Tennessee. June 23, 2012. But we did stay out in the sun long enough for me to set up the tripod and get this picture of us on our special day. 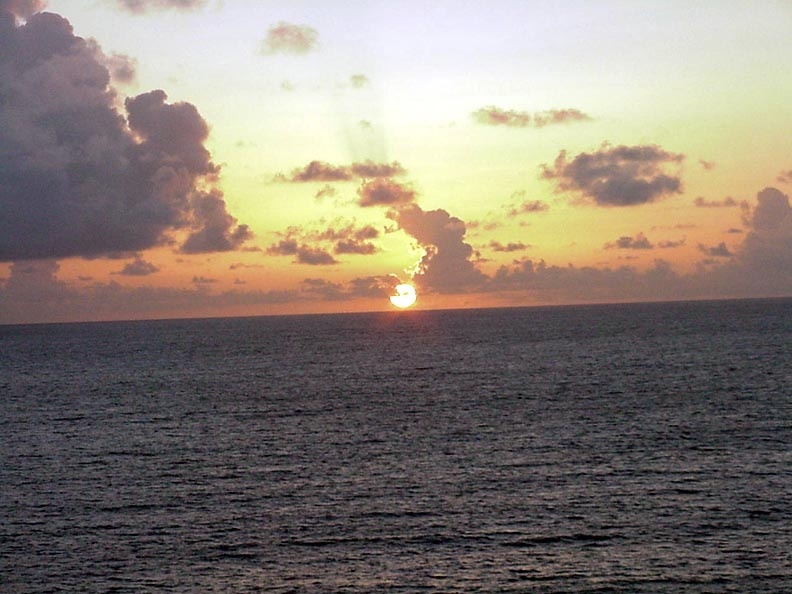 Sunrise off St. Lucia in the Caribbean. September 13, 2001. I went to my archives for these pictures of the skies above and around St. Lucia in the Caribbean. These photos are from the cruise Betsy and I took in September, 2001. 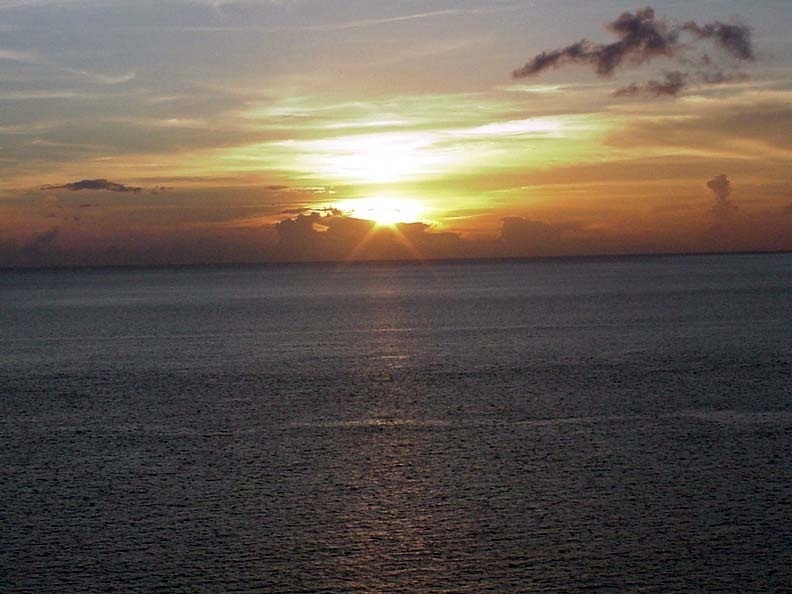 The day started with a beautiful sunrise over the sea (above) as we approached St. Lucia. 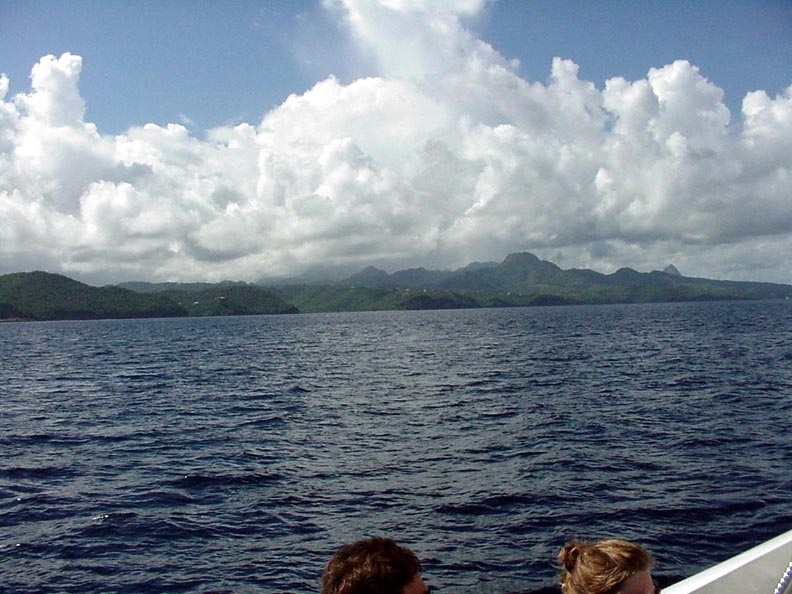 Clouds over St. Lucia. September 13, 2001. We spent most of the day on a catamaran cruise along the coast. In the early afternoon the clouds over the island seemed to come down and touch the mountains. Sunset in the Caribbean off St. Lucia. September 13, 2001. The day ended as gloriously as it began, with a beautiful sunset as we headed back out to sea. Acapella rose, Fairfield Glade, Tennessee. April 30, 2012. 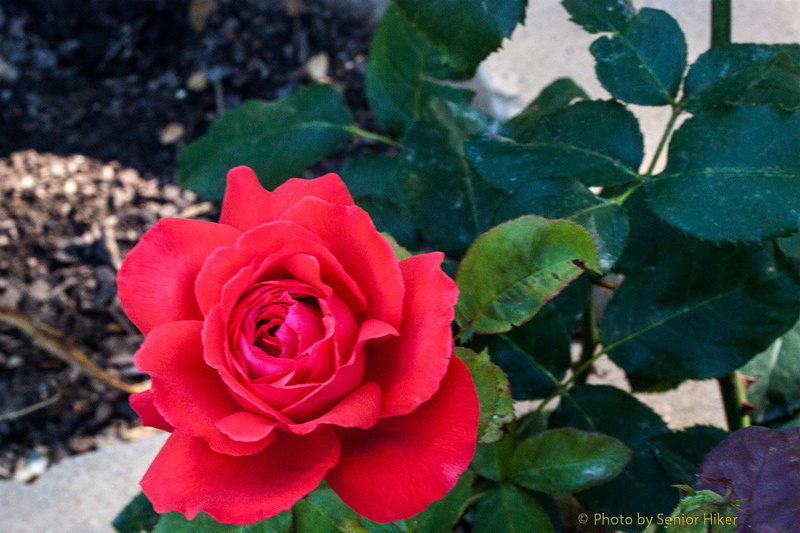 This is the seventh post on the roses in our yard. The previous posts can be found by clicking on the tag ‘Roses’ below. 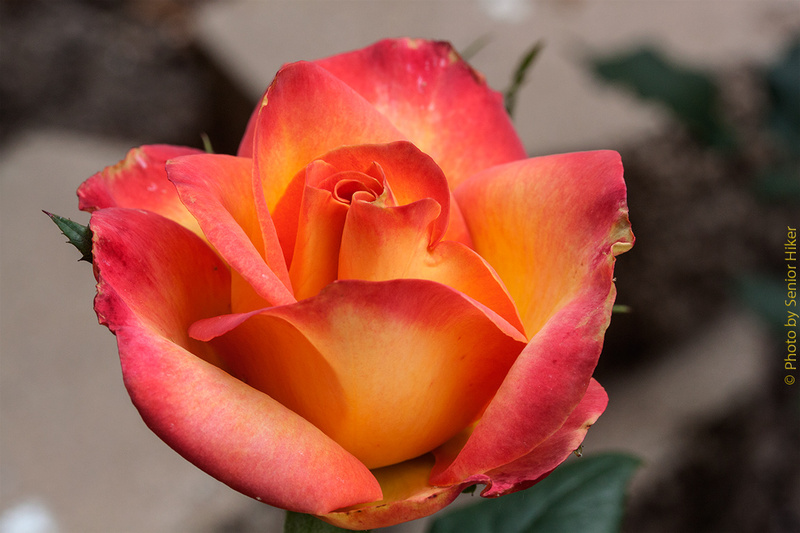 Acapella is one of our newer roses, and it resides in a container along our driveway. 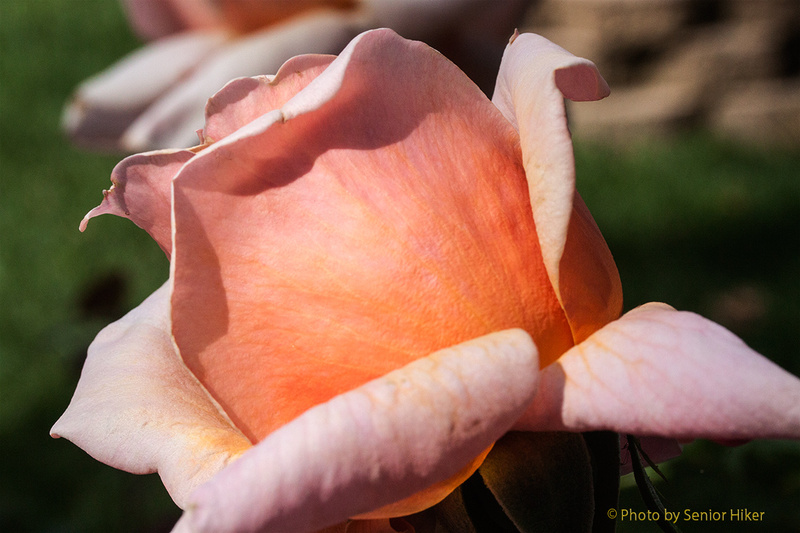 In addition to beautiful color, Acapella also has a delightful fragrance. Frederic Mistral rose, Fairfield Glade, Tennessee. June 1, 2012. One of our most fragrant roses is Frederic Mistral. 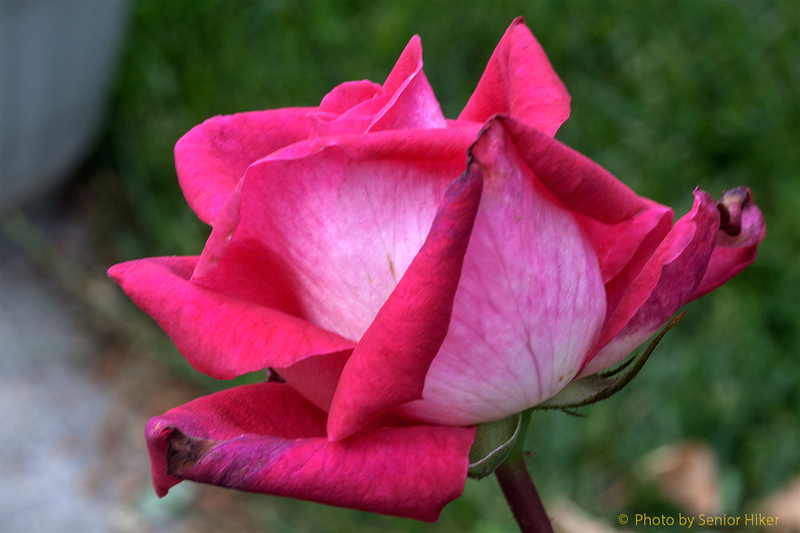 This rose has a tendency to branch all over the place, so it it requires a lot of pruning. But the the fragrance and color keeps it in our garden. Glowing Peace rose, Fairfield Glade, Tennessee. May 1, 2012. Glowing Peace is another offspring of the famous Peace rose. I really like the colors of this beauty. Lemon Spice rose, Fairfield Glade, Tennessee. May 23, 2012. 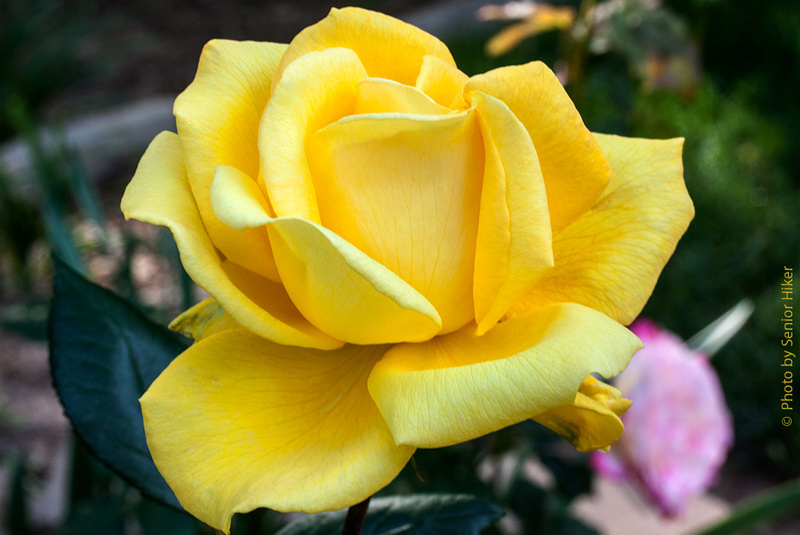 Another relatively new rose for us is Lemon Spice. Both the color and the fragrance are ‘spicy’. Medallion rose, Fairfield Glade, Tennessee. May 1, 2012. Medallion certainly takes the prize as the rose with the largest blossoms in our yard. I first had this variety nearly 40 years ago, although we’ve had this particular bush for only a couple of years. I think this rose definitely deserves a medal of some sort. 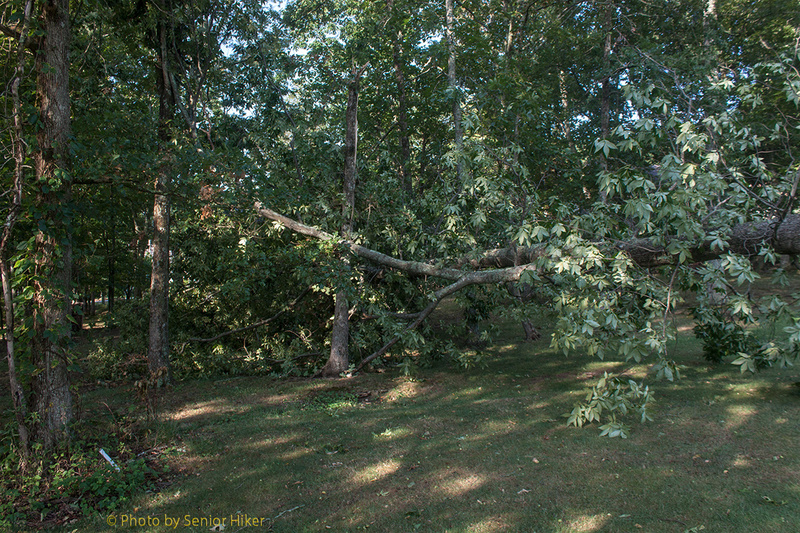 Fallen tree behind our house, Fairfield Glade, Tennessee. July 6, 2012. Last Thursday evening Betsy and I were thinking about getting supper ready when all of a sudden a strong wind came up and all kinds of nuts started falling from the trees around our house. Then one of our umbrellas started scooting along the deck. As we worked to get the umbrella down and other things on the deck firmly anchored, we heard a brick cracking sound behind the house. This was accompanied by a tall tree crashing down. 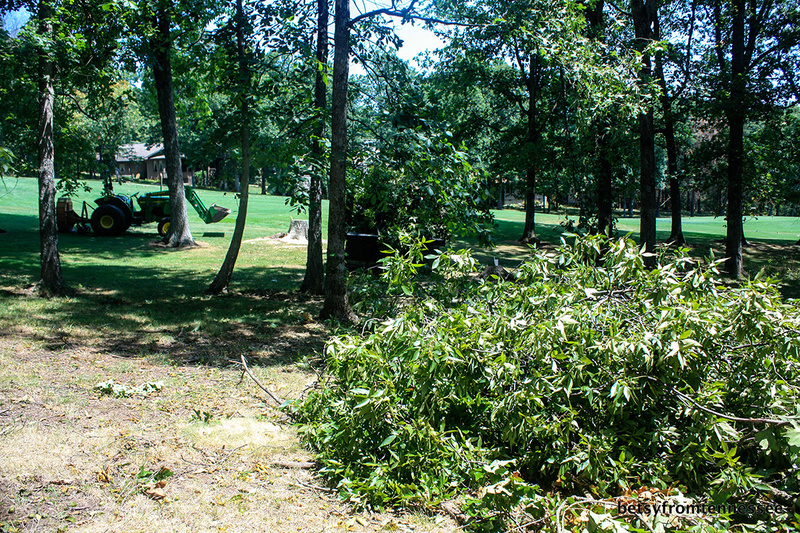 When the tree came down, it took most of a smaller tree with it. Behind our house, Fairfield Glade, Tennessee. July 6, 2012. 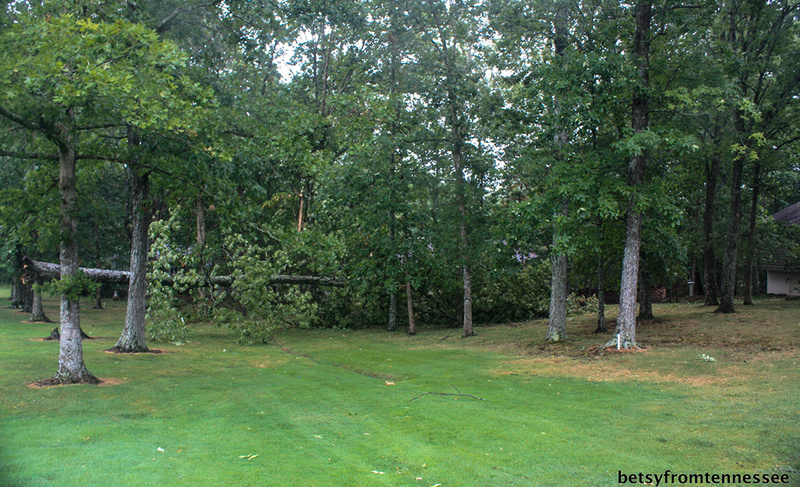 We were amazed that such a big tree could come down so quickly. The fact that the trunk broke rather than the root ball coming up made it even more amazing. 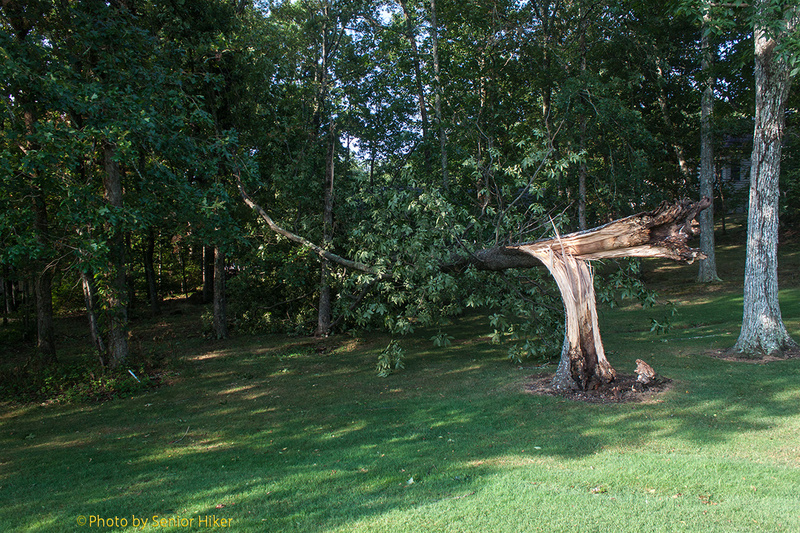 We were fortunate in two respects: First, that the tree didn’t hit the house, and second, the tree was on golf course property. 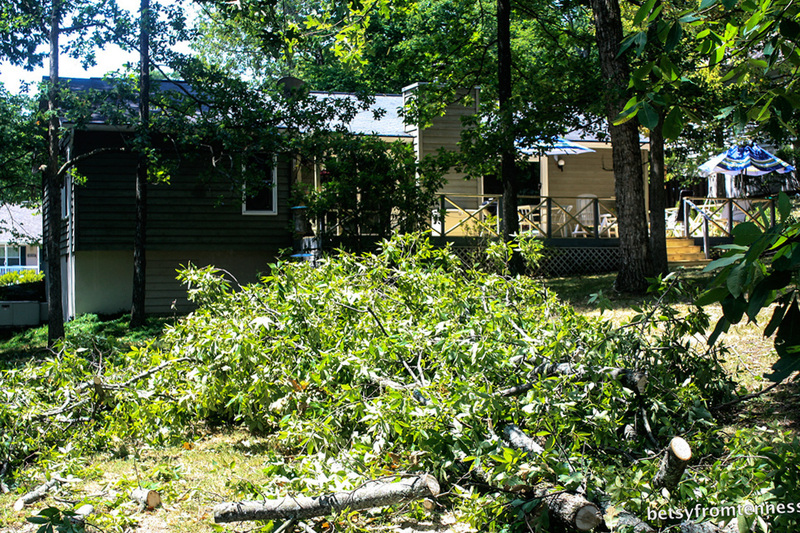 Friday morning Glade employees equipped with chain saws arrived on the scene and went to work.